With a high percentage of sunny days and peak power demand on the hottest, brightest days of the year, New Orleans is a great candidate for transitioning to solar energy. But why hasn’t this transition happened quicker? “New Orleans has good insolation,” explains Logan Atkinson Burke, the Executive Director of the Alliance for Affordable Energy. This means that there is a high level of sunlight and that the light can penetrate to where solar panels may be mounted—most of New Orleans has roughly equal height buildings whose roofs all get sunlight. In states with comparable climates, such as Georgia and Florida, Burke says that this has meant a growing investment in solar energy both at the municipal level as well as among homeowners. In fact, data from Google’s project Sunroof estimates that 94 percent of New Orleans’ buildings are solar-viable, using three-dimensional models. Even if the model is substantially overestimating the results, the numbers are still impressive, suggesting that roof-mounted solar could meet a large portion of New Orleans’ electricity needs. “Where the big problems in New Orleans, and in Louisiana, in the short term and the long term? And it seems to me that they all come down to energy,” says Logan Atkinson Burke. Solar panels work by capturing the energy from photons—light particles—and using them to release electrons. When a photon hits a solar cell (multiple cells make up a panel) the photon excites electrons that flow through an electrical field within the cell. This energy goes through an ‘inverter’ to be converted to AC (alternating current) energy and is ready to be used. This system can either be off the grid, meaning it is unconnected to the regional power grid or grid-tied, where the power flows into the grid if there is insufficient demand in the home where it starts. Off the grid systems must rely on battery storage for power when there is inadequate sunlight or at night, whereas grid-tied systems may “pull” from the grid. Once the homeowner (or business owner, etc.) begins using solar power in a grid-tied system, they naturally need to purchase less energy from their energy utility. The system called “net metering” is a calculation of the amount of energy from the grid used by a rate-payer with solar panels. Simplistically this means that the energy the rate-payer “gives” to the grid is subtracted from their total energy use. However, not all net metering systems are created equal. In some states, customers are comped for the power that they supply to the grid at above retail rates. This agreement recognizes the benefits that solar provides to the entire grid: reducing “line-loss” (energy lost in transition through transmission lines), reducing demand on distribution lines as well as boosting reliability. By contrast, Louisiana pays some of the lowest rates to customers for the energy that they generate. 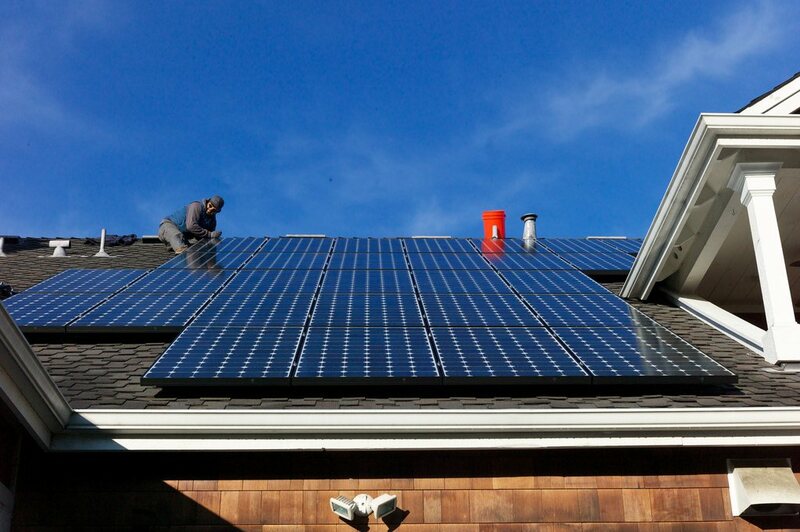 “The lowest that you can be rebated back [through net metering] is the energy you generate. And that’s what Entergy rule is, in net metering,” says Dr. Anjali Sheffrin, a professor at Tulane who worked with electric utilities for 30 years prior to teaching. “It could be much more generous than that, because of the reliability and other benefits that are not being recognized,” she says. Proposed changes to net metering in Louisiana would create a ‘Buy all, Sell all’ market. This means the homeowner sell all energy their solar panels produce to their utility at an “avoided cost” rate set by the utility and then repurchase all of the power at the standard retail price. This is effectively not net metering at all. The City Council of New Orleans negotiates with Entergy to set the rates paid by Orleans Parish customers, and this oversight has helped preserve net metering within the city, though rule changes in the state are set by the Louisiana Public Service Commission. Currently, New Orleans ranks highly among solar power generation per capita, with a reported 95 watts per person, according to non-profit Environment America. However, much of that growth has been the result of private investment, rather than the Entergy greening its energy mix. According to Burke, New Orleans homeowners and business owners have installed 40 megawatts of solar systems themselves. Entergy New Orleans has invested in creating only 3.5 megawatt’s worth of power so far from solar panels. Burke points out that the outpouring of private investment in solar installation was helped by Louisiana’s generous tax credits for solar, which covered 50 percent of the first $25,000 that a property owner spent on solar installation. This could be combined with a 30 percent tax credit that is still offered at the federal level, which effectively removed the cost barrier for thousands who installed solar panels across Louisiana. However, those credits expired in 2016 after eight years, after the credit hit a $25 million cap. Most of Louisiana’s energy comes from natural gas—60 percent of all electricity generated in the state, according to reporting by the New York Times. A natural gas boom has meant that energy derived from shale is cheap, even as the cost of alternatives, such as solar, continue to decline to historic lows. “Right now we’re rich in natural gas. If we start exporting a tremendous amount of natural gas, those prices will go up,” says Dr. Sheffrin. “We may be rich, but for how long? Look at how many LNG [liquified natural gas] terminals are being built, and people expect that we may be awash in natural gas, but for how long? Two years? Five years? Whereas you’re making investments for 30 years,” says Dr. Sheffrin, who advocates for diversifying energy sources to build resilience. Indeed, both the low price of natural gas as well its status as a “cleaner” fossil fuel are worth examining, because there is evidence to suggest that natural gas is neither a “green investment,” nor a particularly good one economically. One report from Saudi Arabia cited an average return on investment in American natural gas extraction at a “measly” .8 percent. Another damning report from the Post Carbon Institute claims that reserves of natural gas have been consistently overestimated, by using assumptions that extrapolate peak production past logical timeframes, and base average well productivity off of high-yield sections of shale deposits. Natural gas also can contaminate local groundwater due to leaks in the hydraulic fracturing process. One report published by the Environmental Defense Fund showed a 60 percent higher methane emission rate from the gas extraction process than the numbers published by the Environmental Protection Agency (EPA). Methane is a greenhouse gas about 30 times more potent than carbon dioxide. Even modest methane and carbon dioxide emissions caused by burning fossil fuels are serious drawbacks considering the urgency of climate change. The new power plant that Entergy plans to build in New Orleans East will use natural gas to generate electricity. A “peaking plant,” the plant will only be in use only 10-15 percent of the year when demand for energy is highest. The plant will cost $210 million, which will be passed on to rate-payers, by increasing monthly bills. The plant will be on the site of the old Entergy Michoud plant; in 2016 nola.com reported that the low-lying site has been sinking at a rate of 2 inches each year. This reporter happened to be in the room at the time, and I concur—current mayor Latoya Cantrell, then a City Councilor, was all but rolling her eyes through the performance—and she voted to grant the project approval anyway. At the time, the measure passed by a majority vote. In the revote, after the scandal, it passed unanimously. The critics who did get to speak at the hearing that day in 2017 said that the power plant was unnecessary because outages in New Orleans are typically caused by transmission lines, not a shortage of power. In 2018, The Lens reported that Entergy’s proposed “power plant within the city would guard against a specific type of failure on its large transmission lines, one in which two equipment failures occur at the same time during a period of intense demand.” This has yet to occur in the city’s history. It’s also important to note that the ‘period of intense demand” referenced would be one of the hottest, sunniest days of the year—peak performance time for solar power, which also reduces demand on transmission lines. “Increase energy efficiency, increase demand response, add more solar to rooftops, do everything you can to reduce waste,” says Atkinson Burke. A solar future in Louisiana and New Orleans means investing in solar for homeowners as well as investment at the utility level. It also means seriously reckoning with expanding fossil fuel use, especially at the expense of transmission upgrades. For this to happen, ratepayers must demand that Entergy prioritize greening its energy portfolio. Though modeling by another Louisiana utility, SWEPCO, suggests that expanding solar dramatically is the cheapest and most reliable option for Louisiana utilities, it is clear this something Entergy is reluctant to do. The failure of Entergy to meaningfully invest in solar and natural gas alternatives also highlights the shortcomings of an investor-owned (privately owned) utility model. When the Sewerage and Water Board Task Force spoke to New Orleans communities about the potential for structural change, they highlighted that publicly owned utilities are able to charge ratepayers less, while Dr. Sheffrin reports they also tend to prioritize shifting to renewable energy sources. In the end, cleaner power in New Orleans must come through people power—Entergy will not make the switch for us. You have a real gift for explaining difficult concepts simply. 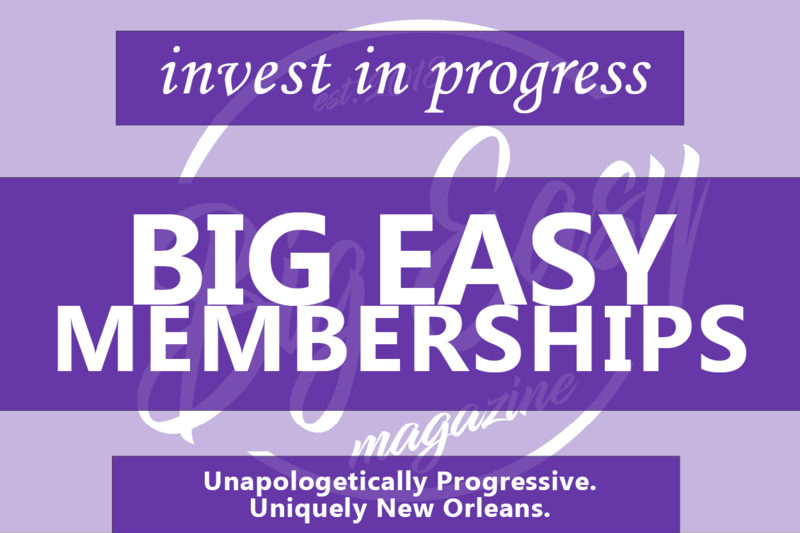 My best friend Gary Groesch, co-creator of the Alliance for Affordable Energy, pushed hard to make NOPSI/Entergy publicly owned. Had he succeeded, we would be a lot closer to a green energy policy than we are now. Alas, he died too young. The state, country, world, really, is in a critical time window to address climate change. Anyone foolish enough to oppose the changes necessary to at least mitigate the impending collective catastrophe we face is simply ignoring what is undeniable. Throughout my life I had hoped humanity was smarter than this. It appears my optimism was unwarranted.